You must make bookings at least 5 minutes in advance of the time at The Mercer. 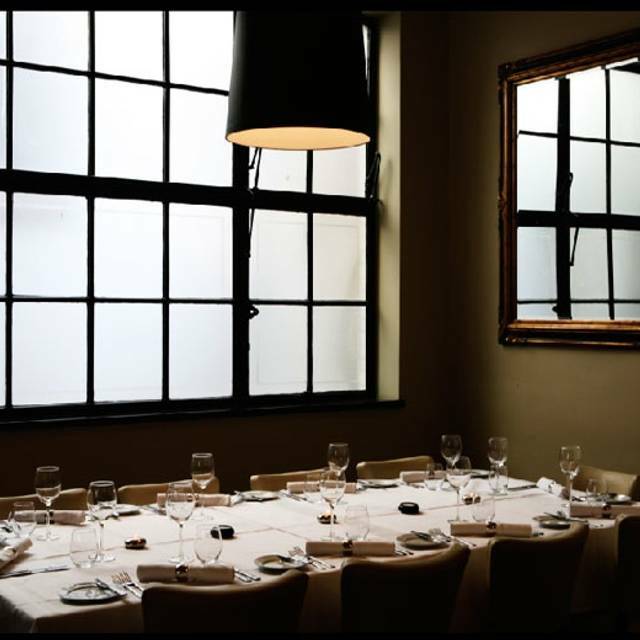 We have added a smart quartet of rooms to our stock, providing private dining spaces suitable for most occasions. An ideal venue for conferences and social occasions, our versatile venue lends itself perfectly to events and exclusive hire: including meetings, conferences, weddings and celebrations. Moments away from The Bank of England, at the business end of Threadneedle Street, you will find The Mercer; an old banking hall upgraded to monochrome finery befitting her professional clientele. 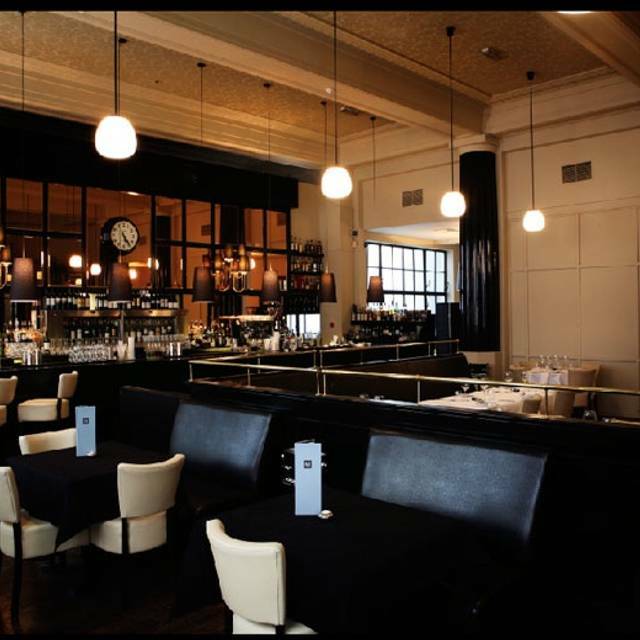 Flexible and confident in our hospitality, we can tailor make your dining experience, be that a quick fire business meeting or a more relaxed sojourn. Our menu, featuring highlights of British classic and contemporary food, uses carefully sourced seasonal produce for breakfast, lunch and dinner. 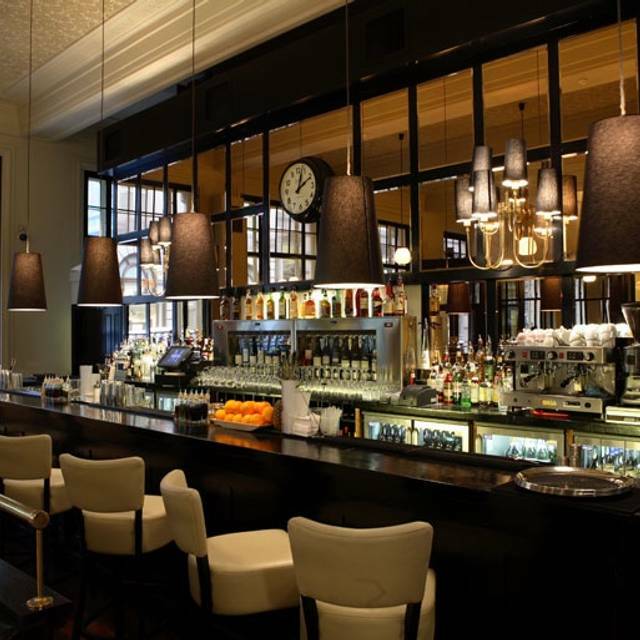 A well stocked and enthusiastic bar, proffering 400 expertly selected wines including 32 by the glass and carafe, allows curious sippers and seasoned oenophiles alike to sample a wide selection served in perfect condition. Each cocktail is created and served with imagination and flair boasting only the freshest, most premium ingredients. Amazing service focused on quality and attention to details. Excellent food and presentation! Great location Great atmosphere Great staff Sumptuous food. Even tango upstairs on some Fridays. This is my favourite restaurant in the City. 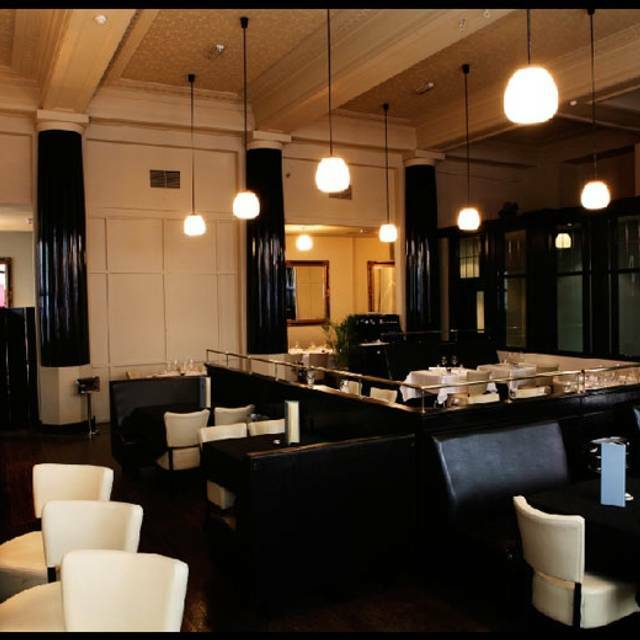 They have an excellent menu, a separate Vegan menu and an outstanding wine list. The staff are attentive and friendly. Try it! My first visit at the Mercer I would recommend this restaurant the service was excellent they were so welcoming. Food was delicious great options on the set Menu. First time at the Mercer. Loved the service but i found the food choices quite repetitive over the menù. There were five of us and we found 3 out of 5 choosing the same, would have instead loved having more choices. I loved the butternut squash soup as a starter: not only tasty but had almonds/similar to give it that crunchy bit which i very much enjoyed. The main was the sea-bass for me and another 3 at my table: did not like the gnocchi/pasta in the mix as it would have been much more tasty with some veggies or potatoes. As dessert we had the special tart of the day with custard and that was just perfect. Overall, we thought it was overvalued due to the unconventional dishes combination. I have been visiting the Mercer for many years. It never disappoints. The menu has a great choice, the food is always very nice and perfectly cooked. The wine list caters for a full range of budgets and tastes. The service is always friendly and attentive and never overbearing. Would recommend for a business lunch or dinner. We had a lovely evening. It was better than I was expecting from a city restaurant. Clearly there were several business groups dining at the same time but the noise level was acceptable and not overly intrusive. We had an intimate corner table and the whole ambience is lovely. Meat was v strong tasting. Offer v good value. The Mercer is now a City staple for excellent food and service. An excellent venue in the centre of the City. 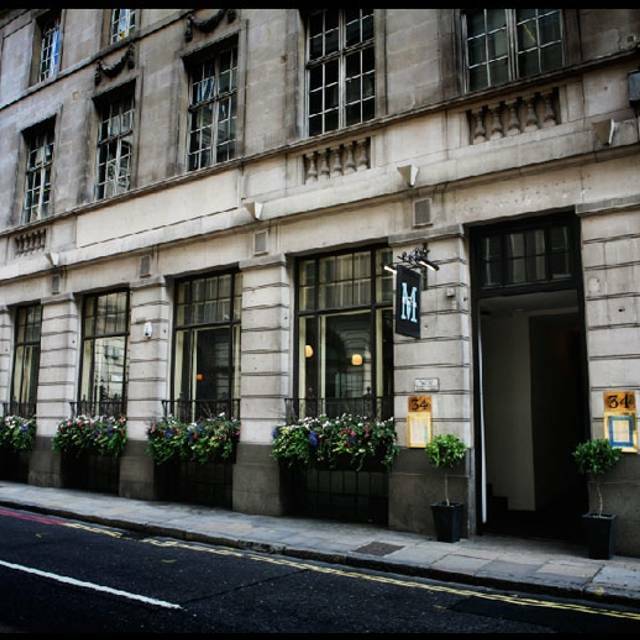 Well cooked and well presented English dishes with an extensive wine list with a broad price range. Staff were attentive but not intrusive. The venue has little soft furnishings so can be very noisy when it’s busy. 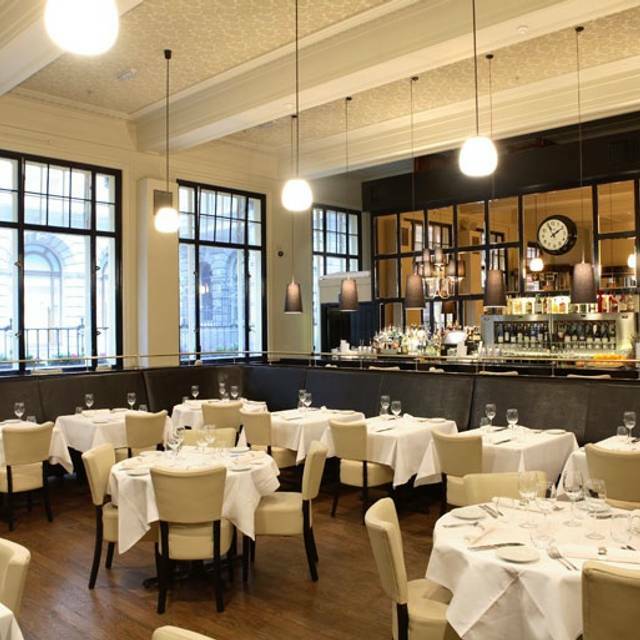 We booked the Mercer last minute after being let down by South Place Chop House nearby and the difference couldn’t have been greater - the truly stand out staff were the absolute opposite of the snooty and dismissive reception we’d received at SPCH. The food was also great and, since we did the set menu, the value was amazing. Very highly recommended. Great service and nice décor/bar. Great for a catch up with friends on a Friday night when they have a special menu/deal which is exceptionally good value. This is our third visit and we will no doubt return Please change the menu though as we are becoming regulars.. Very handy for Liverpool Street too. 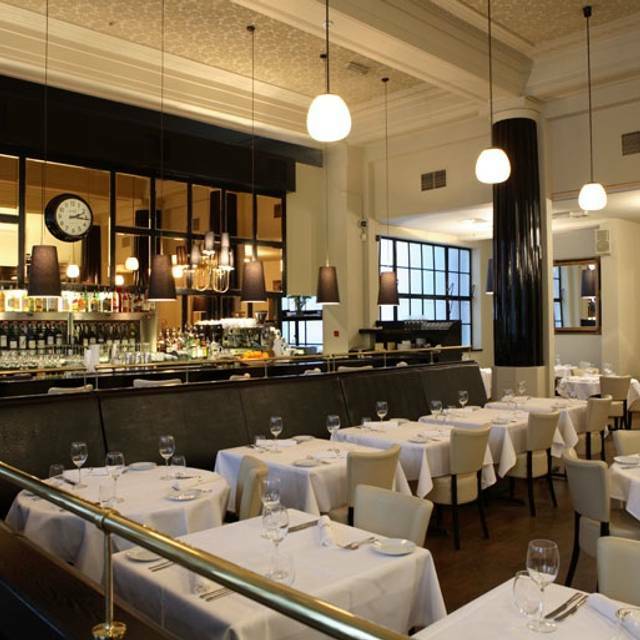 This is a fantastic venue for a business lunch in the City. Really good food, a great wine list and charming staff. And a top rate Vegan menu as well. Overpriced and a lot better options around. Steak small and average. Food below par. Won’t be returning. Had a lovely business meal here - the service was a little confusing. The food is tasty and great wine selection. Great service and nice décor. Great for a catch up with friends on a Friday night when they have a special menu/deal which is exceptionally good value. This is our second visit and we will no doubt return. Very handy for Liverpool Street too. Moderne britische Kueche, sehr gut. Service dagegen wirklich unterirdisch. Teller werden einfach auf den Tisch geknallt. The Mercer is consistent each time I’ve visited with respect to the quality of the food and drinks. The dishes I’ve and my guests have eaten have all been excellent. Service is also generally excellent. First two courses very good. However, two slabs of hard brie and stilton for £9 does not a cheese course make. Service good though and we were not rushed. Business restaurant but none the worse for it. All is good here - great food and good wine list with a service culture. food was mediocre at best, service pretty poor. when we asked for a carafe of a wine we had been drinking during lunch, we were brought a wine that looked, smelled and tasted completely different. The waiter insisted I was wrong, the wine was exactly the same and even returned with the bottle from which he had poured the carafe and was rather condescending. What he failed to mention at the time was that the bottle of white from which he had taken the carafe had been opened for several days (he initially insisted it was only a matter of hours). He finally apologised and returned with a fresh carafe of the wine which we had asked for an told us it would be on the house, only to later inform me when I received the bill that it had not been on the house after all. A poor show, all in all, and I wouldn't return. The food at the Mercer was good, however the service was very slow and awkward considering I was with a client. I would recommend the restaurant but would probably not return. Food is very good and the staff are lovely they make you feel very welcome and look after you without being all over you. As always, very high quality of both food and service in nice surroundings - albeit quite quiet given it was a Monday evening but good for a private business chat. Chicken avocado salad, large, was tasty. Service was attentive at to the point ie. When my friend asked for a milk for her coffee, it didn’t come straight away although the venue was not busy and the waiter simply forgot about it while he was sipping a drink while he was waiting for drink for other customers. Also we were not sure whether our bottle was empty as the bottle was not by our side and had to rely on the waiter to serve us. Food was in generous portion, but my starter and fish cake was a bit too salty for my liking. Anyway, I liked the background music of slow Jazz and open table deal was a good deal overall. After turning up for my reservation, pay the bill, there was a mixup and I was expected to explain why I did not appear - Service was less than average. The space looks good . Crab salad was fine. But there was no one else there appreciating these things. Clearly a lunchtime spot. Still, it meant we could hearbeach other perfectly!